Summer fun in Jardin des Tuileries, fried chicken sandwiches at Ellsworth, warm evenings by the Seine and shooting with the very talented Kerrie Hess. 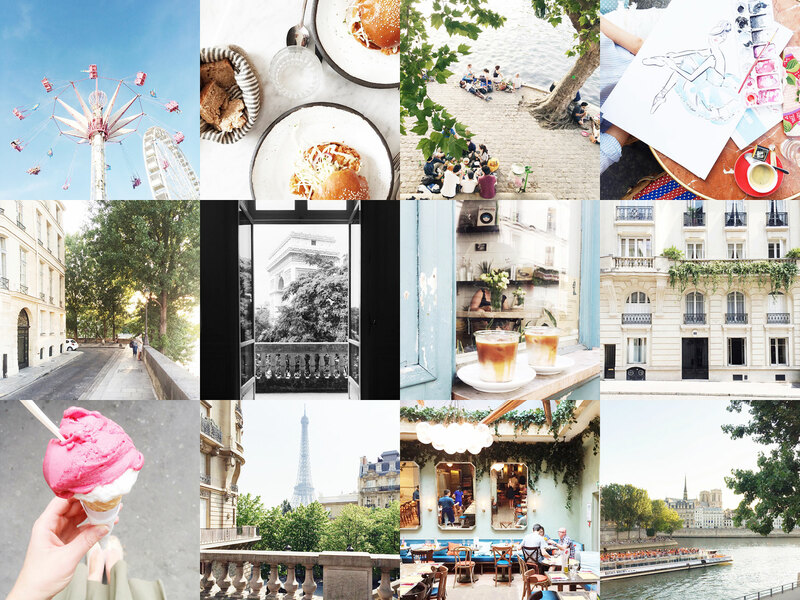 Strolling in the evening sun, the incredible view while photographing for Carolina Herrera, iced coffee at Boot Café and pretty Parisian facades. Ice cream from my new favourite gelato place Pedone, a pretty fantastic view, Italian food heaven at newly opened Ober Mamma and another crazy hot Parisian evening in the sun. This and more on Instagram!